One of our favorite life lessons is that perception is reality. It is as simple as that. But this issue of perception is a very real issue for business leaders. You see, every employee has an opinion of their superiors and, more often than not, that perception is carved out by the superior. They have to make a conscious effort when it comes to how they want to be viewed, and this is where a lot of problems tend to stem from. 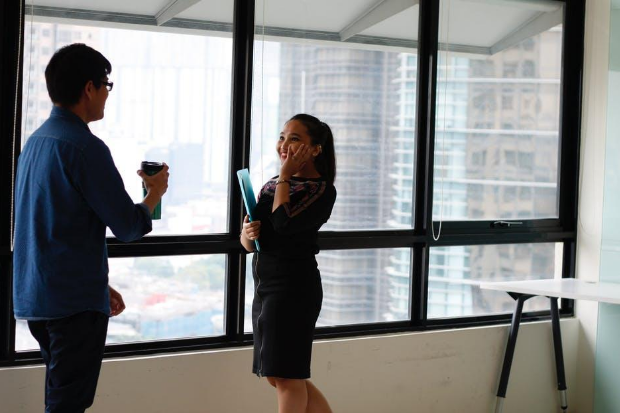 Most leaders don’t realize the importance of having a personal connection with their employees, but by making your employees feel valued and appreciated you are encouraging them to go above and beyond the requirement of their role. A personal connection increases happiness, and happiness can be held accountable for productivity. employees know that you would go above and beyond to personally support them. It is a sure-fire way to create an unbreakable bond. Employee perks are part and parcel of having a job, but what will set you apart is your ability to get creative with these perks. It doesn’t have to be anything over the top of expensive. It could be something as simple as surprising them by upgrading the office furniture, getting some desks that have a splash of color, or more ergonomic chairs. It could be book tokens that set them apart or better yet giving them a Kindle, which will encourage them to read up on your industry too. Have a fridge full of beers that can be enjoyed every Friday afternoon. Encourage vacations. Bring in a masseuse. There are so many ways to get creative, it is just a matter of doing it. One of the best ways to become known as a great and caring conversationalist is to listen and take a genuine interest in their lives. Everyone has a hobby or something they love, and by taking an interest in this area of their lives you are proving that you don’t just view them as worker bees. So get to know their families, ask about their honeymoon, tell them you bought some new tech based on their recommendation, find out what the score was at their kid’s little league game, decorate their desk in the theme of their holiday for the two days before they go away. All of these things are so little but it shows that you have a genuine interest in them as people and that is a great way of making them feel valued and appreciated.